On Saturday, October 14th, Newark Arts curated by Newark Mommies (Tamara Remedios and Endelea Meadows) will present Open Doors Kids, a day-long schedule of artistic events aimed at engaging youth, families and caregivers during the 16th Annual Open Doors Citywide Arts Festival. Debuting as a new festival offering, Open Doors Kids will provide kid-friendly music, arts and crafts, and mini-arts education sessions that the entire family will enjoy. ALL ACTIVITIES ARE FREE & OPEN TO THE PUBLIC. Drop-in unless times are specified. 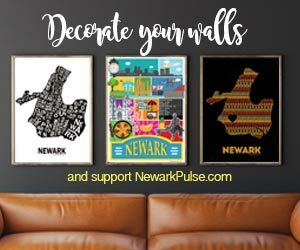 My Newark Story: Kids can create Newark themed bead art, button making and coloring station. Creative Play: Early learners (age 7 and under and their siblings) and their caregivers will explore and engage with the Latin American collection and then create their own inspired piece of art. Food Art: children’s art and food event. While tasting healthy food with your child, you can assist them in making food masterpieces out of fruit, bread and other yummy items. Postcard Printing Workshop: Kids of all ages are welcome for stencil monoprinting on the etching press to create their own custom postcards. Caleb and Allison Rumley Quintet: Fun, family friendly concert right in the middle of the exhibition “Records at Play: Institute of Jazz Studies @50.” This exhibition and concert gives audiences of all ages the chance to learn about jazz, improvisation, and musical collaboration. Eli Yamin will present Jazz Power – an interactive program for families with Zah! Jazz Youth and Antoinette Montague. Recommended for kids ages 7-11 with an adult. Recommended for families with children of all ages, the Family Refresh Zone will be a laid-back area for weary art-goers to cool their heels. Featuring stroller parking area, phone charging station, refreshments, and art activity stations for kids and adults to enjoy. Additionally, the adjacent room 310 will be designated as a Nursing and Diaper Changing station. It will be outfitted with comfortable chairs, tables, and a phone charging station. A sink will be available.